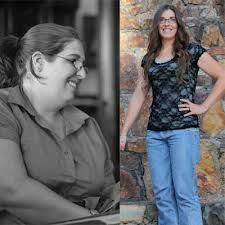 Do you have a goal to lose weight this year? Have you tried and failed so many times you cannot count? Maybe you are like me and are dealing with more than just portion control. 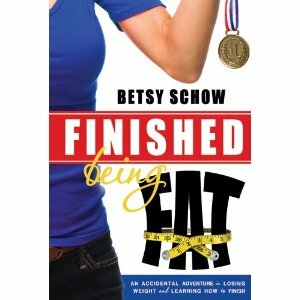 I'm excited to introduce you to Betsy Schow's new book, Finished Being Fat. 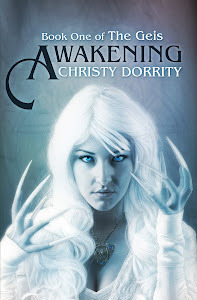 The book comes out today! You can find Finished Being Fat on Amazon. This is not your ordinary diet book. This is a true story about to entertain and uplift at the same time. It's being hailed as Eat, Pray, Love ... for normal people. After many years of being fat and miserable, with a few years of being average and less miserable mixed in, I finally had a lightbulb moment. The reason I was unhappy, was not just the extra 75 pounds of pudge I was carrying. It was the weight of all the things unfinished that hung around my neck. I was always having grand ideas. I'd get excited about this diet, or that workout routine. Or starting a new hobby or project. Problem was, within a few weeks the excitement would fade and that little voice would kick in. You know the one I'm talking about. "You're no good at this. You'll never keep the weight off. Why are you even bothering?" And every time I quit, my wall of failures would get a little higher -- making success that much harder to see. What started out as yet another attempt to get rid of the weight around my middle, snowballed into a year of changing my life, my marriage and the way I raise my kids. Not to mention accomplishing seemingly impossible dreams. Whether your goal is losing weight, running a marathon, cleaning out the basement, or all of the above, this book will teach you how to achieve more than you ever thought possible without sacrificing your sanity or sense of humor. This is a book all about finishing and reaching your goals, perfect to highlight while all your readers are making their New Year's resolutions, or struggling to keep those resolutions. I really like the title! And the idea behind it is so true-- finishing is often the toughest thing-- way tougher than starting.